To send and receive messages you need a transport and a connection. There are several transports to choose from (amqp, librabbitmq, redis, qpid, in-memory, etc. ), and you can even create your own. The default transport is amqp. # are taken from the keyword arguments. See Keyword arguments for a list of supported options. The default port is transport specific, for AMQP this is 5672. Other fields may also have different meaning depending on the transport used. For example, the Redis transport uses the virtual_host argument as the redis database number. Default host name if not provided in the URL. Default user name if not provided in the URL. Default password if not provided in the URL. Default virtual host if not provided in the URL. Default port if not provided in the URL. Default transport if not provided in the URL. Can be a string specifying the path to the class. (e.g. 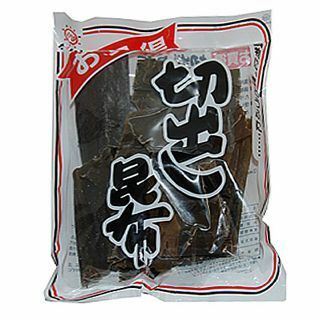 kombu.transport.pyamqp:Transport), or one of the aliases: pyamqp, librabbitmq, redis, qpid, memory, and so on. Use SSL to connect to the server. Default is False. Only supported by the amqp and qpid transports. Timeout in seconds for connecting to the server. May not be supported by the specified transport. A dict of additional connection arguments to pass to alternate kombu channel implementations. Consult the transport documentation for available options. There are 4 transports available for AMQP use. pyamqp uses the pure Python library amqp, automatically installed with Kombu. librabbitmq uses the high performance transport written in C. This requires the librabbitmq Python package to be installed, which automatically compiles the C library. amqp tries to use librabbitmq but falls back to pyamqp. qpid uses the pure Python library qpid.messaging, automatically installed with Kombu. The Qpid library uses AMQP, but uses custom extensions specifically supported by the Apache Qpid Broker. For the highest performance, you should install the librabbitmq package. To ensure librabbitmq is used, you can explicitly specify it in the transport URL, or use amqp to have the fallback. (1, 2, 3, 4) Declarations only kept in memory, so exchanges/queues must be declared by all clients that needs them.